Happy Friday. 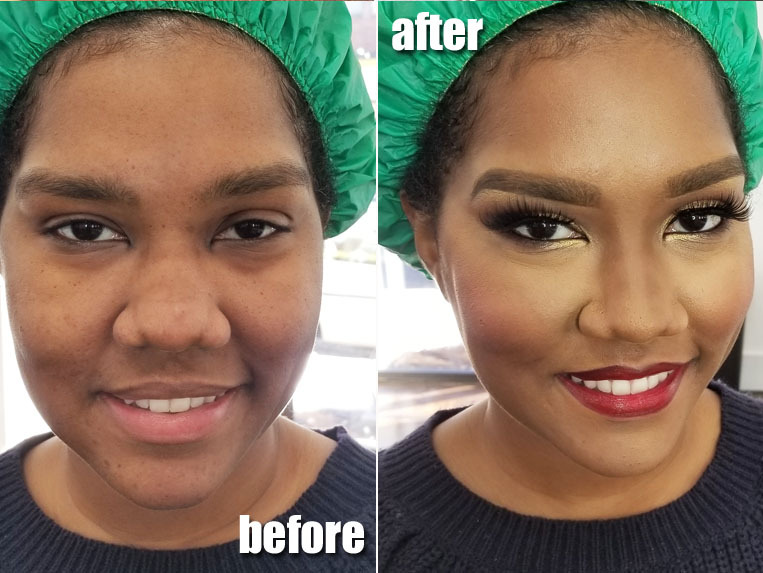 I wanted to share with you a makeover I did a few weeks ago for my friend's bridal shower. We wanted to be beat! We went with a glam gold smokey eye and red lip - classic. Check it out! Please ignore the bonnet, this was pre hair appointment. I got to use my new Urban Decay All Nighter Concealers and they were amazing. I used them to highlight and contour. 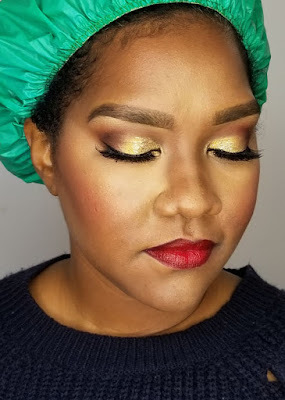 My client has a tendency to sweat on her nose and this waterproof mattifying concealer was perfect for her. She also loves her full brows. I made sure to define them but not darken them too much so they were still full but not too overwhelming. 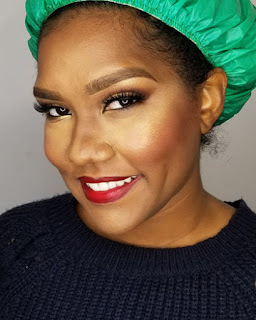 I love these Lady Moss Koko lashes on her. Lastly, I used a dark lip pencil - MAC Nightmoth with a red lipstick to give her a vampy lip look. Avant Garde Beauty Shoot - 6 looks! 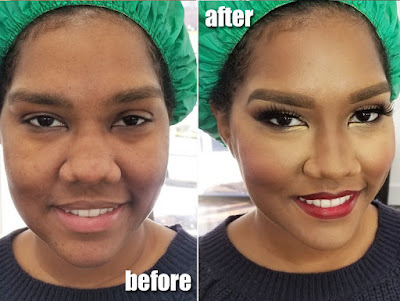 FOTD: How to Make Your Eyes Look Bigger - Easy!